4.5lakh students from more than 5000 schools participated in this science fest last year i.e.2016 at school level. State level is on 5th, 6th and 7th of January 2018. This is one of the biggest events being conducted by the JVV every year to inculcate a sense of cooperation and collective action in children. 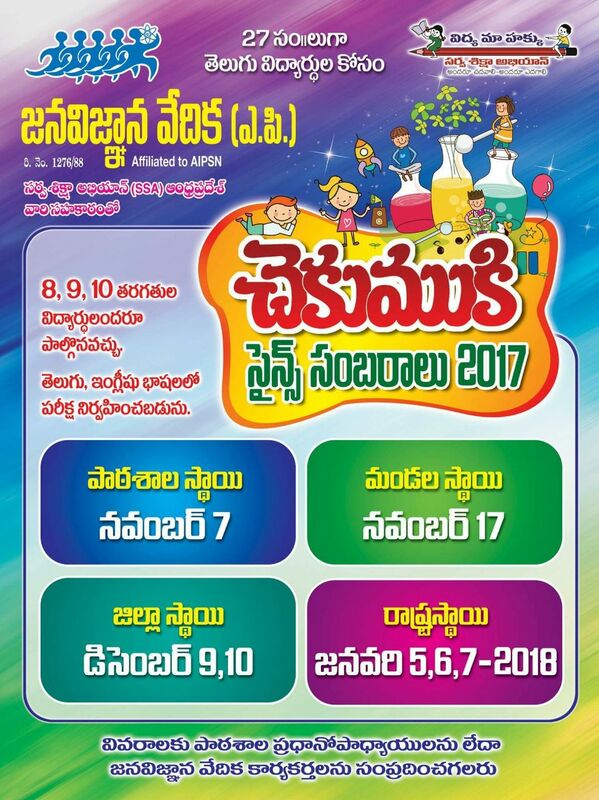 This sciencefest is JVV humble effort to instil team spirit, self confidence and a quest on science among the students which are essential 10 mould today students into next generation scientist who can propel our Nation into a developed country. 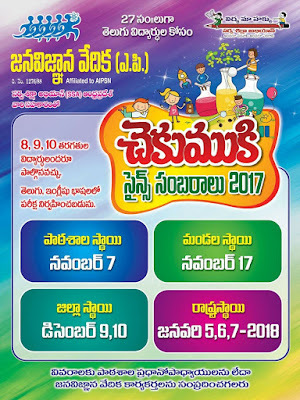 mandals of all 13 districts will take pal1 in this science fest.